Regence has designated August a month of giving in support of the communities where employees live and work. Founded 100 years ago, on the premise of neighbor helping neighbor, the company is proud to give back in a meaningful way to support over 100 non-profits across the region. 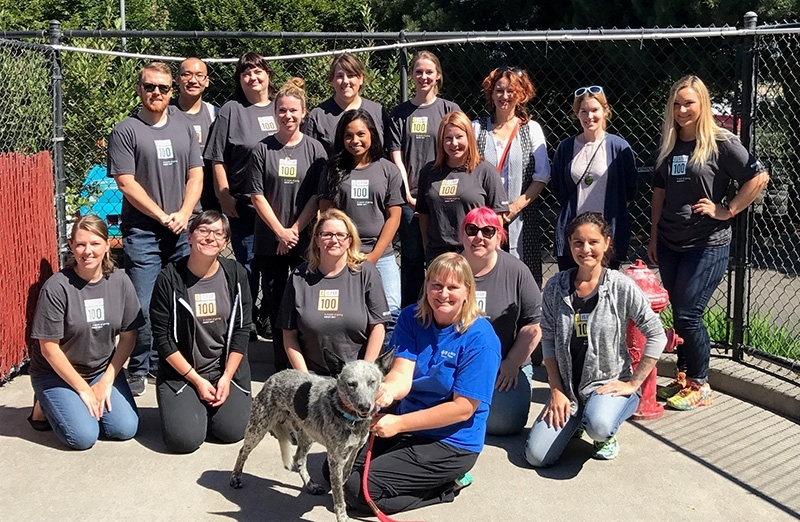 Throughout the month of August, employees are granted four hours of paid time off to volunteer at any non-profit organization focused on improving the health of local communities throughout Oregon, Washington, Idaho, Utah and Texas. Additionally, any employee contribution to a cause they care about will receive a 50 percent match from the Cambia Health Foundation. With approximately 5,000 employees, the company has organized volunteer events benefitting nearly 100 organizations in the month of August. Oregon: On August 31st, Regence is sponsoring a partnership with SOLVE and the City of Portland to remove litter from the city’s beloved Tom McCall Waterfront Park. Regence employees will join other volunteers at one of 11 different sites throughout the city on the same day to remove litter from our environment and ensure a clean and healthy Portland. Washington: Habitat for Humanity of Spokane, Skagit, and Tacoma/Pierce Counties will see Regence employees helping build housing to support local area veterans and low income families. Additionally, employees will work with Mary’s Place residents by providing guest, kitchen, and donation support, and partake in Tacoma Rescue Mission’s Men’s Campus Refresh. Idaho: Regence employees will be celebrating their longstanding relationship with the Idaho Food Bank by volunteering several times throughout the month of August at the brand-new Lewiston warehouse. The volunteers will be sorting and packing healthy foods to be distributed throughout the region to Idahoan families in need. Utah: United Way of Salt Lake and Salt Lake Valley Habitat for Humanity will host Regence employees as they help pack healthy snacks, stuff buses with school supplies, and participate in Corporate Build Days. Employees also have the opportunity to participate in the Utah Food Bank’s Holiday Food Drive.